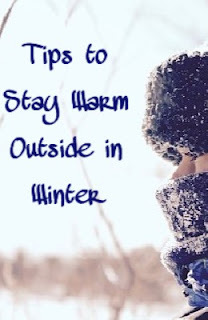 Staying warm, dry, and comfortable while spending time outside during the winter can be quite difficult if you do not prepare yourself well. With winter comes blowing snow, freezing rain, and bitter cold temperatures. Before heading outside it is important to take into account the day's weather and temperatures. Only then can you really plan to be ready to take on the winter days. 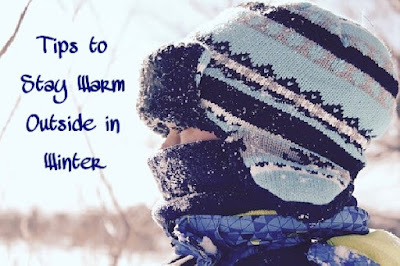 The following tips can help you to stay warm and cozy while venturing outside. Wear several layers of clothing and peel them off if you start to get too hot. Wearing at least three different layers is far more effective at keeping you warm than one thick layer. The heat captured in between the layers keeps you nice and toasty. The first layer should be thin and comfortable as it is the closest to your skin. Thermal underwear is a great choice. The middle layer should focus on warmth. Lightly woven wool works well. Lastly, the outer layer is what protects against the elements. Choose jackets that are windproof and waterproof. They key here is snug. Too loose and air will be able to sneak inside giving you an instant chill. On the other hand if it is too tight it can cause you to have aching over your skin and head. Choose a hat with a fleece lining and a wool or synthetic exterior that completely covers your ears. Mittens are actually more effective at keeping your hands and fingers warm than gloves. This is because clustering the fingers together ensures production of more insulating body heat. Good quality winter boots are imperative in order to stay warm, dry, and prevent frostbite. One of the best options are double boots, which contain a felt inner liner and a high-top outer boot. They’re warm and comfortable and although can be quite expensive it is worth the investment. The best way to keep feet warm is by wearing two pairs of socks that each serve a different purpose. The under layer should be a thin pair of ‘wicking’ socks. They remove perspiration from the skin to a thicker outer sock such as a woolen pair. Cotton absorbs water such as perspiration which will end up leaving you cold. Staying dry will help keep you warm so opt for fabrics such as wool or synthetics for undergarments and socks. Drinking water is just as important during cold weather as it is in the heat. Drink water or sports drinks before, during and after your workout, even if you're not really thirsty. The very foundation of keeping warm is making sure your body has enough food to burn to keep you warm in the first place. For this you’re going to need to eat complex carbohydrates – whole grains such as oats, brown rice and millet are good. How do you prepare yourself to stay warm outside in winter?